When you are seeking a roommate, you’ll want to choose someone whose lifestyle fits with your own. Looking for the six traits listed below will help ensure that your roommate is actually a good fit. Open Communicator: Basic honesty about finances, schedules, cleanliness, overnight guests and other important matters is essential to harmonious coexistence. Adaptable: When two or more people are sharing close quarters, adaptability is a must. All parties must be willing to make reasonable compromises to keep the peace. Considerate: This doesn’t mean always letting the other person have his or her way. It does mean doing things like keeping the noise down late at night when your roommate is sleeping. Reliable: Of course it’s great if you and your roommate become good friends, but that doesn’t always happen. What is essential is that you and your roommate can count on one another for support when things happen. Reasonably Clean: Your roommate doesn’t need to be a total clean freak. But an Odd Couple situation with one Felix and one Oscar is a guaranteed recipe for disaster. Respectful: Disputes between roommates are inevitable. But as long as you’re willing to meet one another halfway, you should be able to work out most disagreements. Is Your Prospective Roommate Trustworthy & Financially Stable? Get everything in writing. No exceptions. Once you’ve determined that a prospective roommate is a good match for you in temperament and lifestyle, your work still isn’t done. You should also ask yourself the following five questions to ensure that your would-be roommate is trustworthy and financially stable. Does he or she have references? Friends are among the best possible references for would-be roommates. They can give you the 411 on the person’s integrity, financial stability and other characteristics. Asking a prospective roommate for references and then checking them out is an essential element of due diligence. Have you met in person? No matter how great someone seems on paper or over the phone, there is no substitute for meeting him or her in person. You’ll be able to read nonverbal cues that could signal red flags. Do they seem reasonably stable? Nearly everyone has some baggage, but you don’t want to take on someone who can’t seem to hold a job or who has been thrown out of his or her last three apartments because of unpaid rent or causing disturbances. Are you both clear on finances? It is essential that all parties are on the same page about who pays what share of the rent and utilities – and whether you’ll share grocery expenses. Is he or she willing to sign an agreement? Get everything in writing. There are no exceptions. If a prospective roommate balks about signing an agreement, do not share space with him or her. 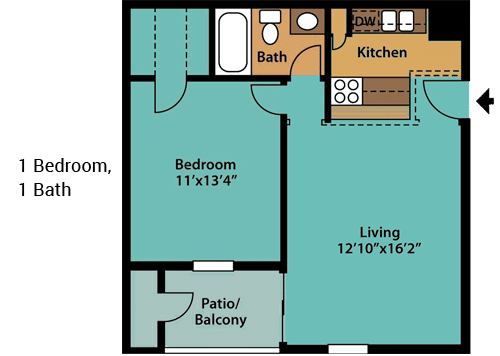 Whether you’ve decided to share space with a roommate or go it alone, Caprock Apartments has just the right unit for you. Caprock Apartments offers a wide range of amenities inside and out. More than an apartment complex, Caprock is a thriving community that is welcoming and inviting. 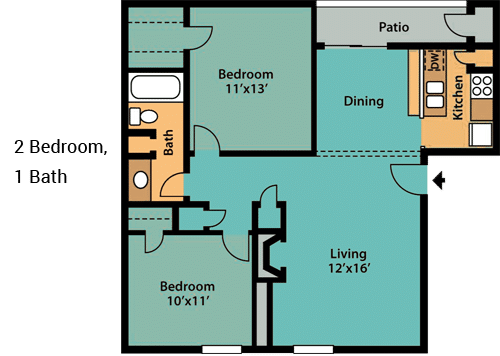 Discover the affordable luxury of Caprock Apartments for yourself! Even Small Spaces Deserve Some Decorating Fun! 10/3/17 Update!!! So after talking with management they were more than willing to Fix the problems that I stated below. They made everything right and not only made it right but made me feel like family. Yes this complex is older but they are investing to improve and make it feel like new. I will say what this apartment complex has here versus other complexes is a staff that treats you like family, from the office staff to the maintenance staff they care for you and how you feel. DO NOT MOVE HERE!!! A/C units are old and noisy enough to shake your apartment walls when turning off and when you ask to get a work order they say until it fully breaks you have to live with the noise of a loud unreliable A/C unit that sounds like a motorcycle in your kitchen and I'm not even trying to joke or exaggerated when explaining how loud and unreliable their A/C units are at this complex, Keep in mind that is only one of the issues here. Plumbing is another issue that takes forever to get fixed, for me it took 4 months to get a working toilet in my 1 bed 1.5 bath.This complex is falling apart. I actually lived here the year Caprock opened up in 1978. And today it is still being run and managed superbly. The grounds are well-kept and the staff is really super! It's a great place to live, was then, and still is today! Caprock Apartments is an AMAZING complex! I was a resident from 2009-2012 and then moved away. The experience and rates are so good that when it came time to get an apartment again I came right back, and the experience is even better this time around. Any issues or repairs that may come up get resolved quickly and professionally. The office and maintenance staff are great and very accommodating. I really have no complaints at all! I really want to post my feelings about Caprock Apartments because I have been extremely happy living here the last two years. John Wilson is just fabulous! He has great customer service. And he has trained the new employees they have hired recently very well. They are all just Great! And the manager Angelica is wonderful as well. And whenever I have something that needs to be repaired, they are always great about calling me back to let me know it has been done or the status. Great communication. This is a wonderful staff running this place. Beautiful and peaceful atmosphere and nice friendly neighbors. Glad to be living here!! !